Hello, friends!!!! I've been working all summer, putting together the first in a series of at least four (maybe more!) FREE eBooks. 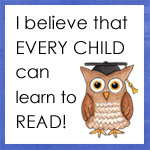 They are designed for parents who want to help their children learn to read. In these books I explain - as simply as possible - everything you need to know to put your child on the right path toward literacy. This first eBook is 27 pages long. Here is the accompanying ABC Line, to be used with the flashcards. (I explain how in the eBook.) It's a printable PFD document, some assembly required. :) I'll post assembly directions and show pictures of it in action soon. And here is where to find the accompanying flashcards! 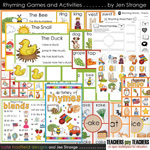 ABC beginners is a set of printable flashcards for early learners created with Jen Strange and inspired by her own teaching methods. I'll let Jen explain further, “This isn't just a set of flashcards with super cute pictures. This is a carefully designed step by step process for parents who want to teach their children the basics of reading. (A process which happens to USE super cute pictures.) 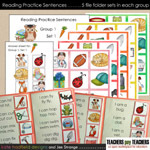 There are six months of literacy research behind these cards, as well as months spent tutoring children who struggle with early reading skills. Simple but systematic instructions are included, so you'll know the exact sequence of skills to focus on, and how." 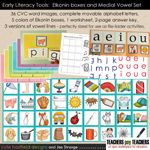 •	PDF file of all the flashcards for easy printing! 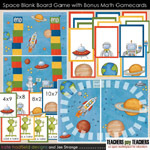 Sized to print on letter or A4 sized paper, each flashcard is approximately 5x3.5inches when printed. Each card is also supplied as an individual 6x4 jpg file. Click here to buy the flashcards!